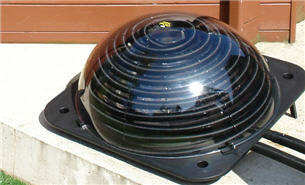 Designed and manufactured using top quality components and materials at the Elecro works in Hertfordshire, England, the unique Solar Radiation Heater saves you money, is flexible, adjustable, easy to maintain and easy to install. 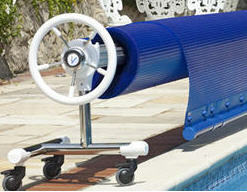 It also takes up less space than traditional solar heating products making it ideal for pools and spas. This innovative system, using vacuumed tube collectors, can capture both direct and diffuse radiation, and its adjustable aluminium frame allows it to be precisely angled towards the sun  making it extremely effective at harvesting up to 92% of available solar energy. 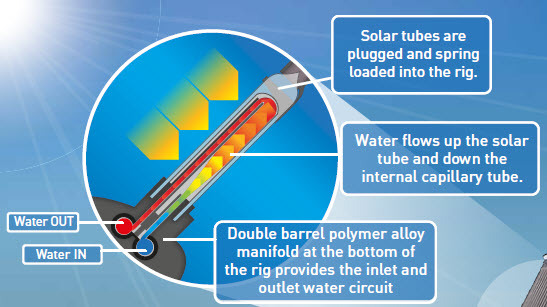 The solar collector comprises 16, 32 or 48 (standard set) evacuated tubes laid closely together to achieve a maximum energy yield from the smallest possible footprint. 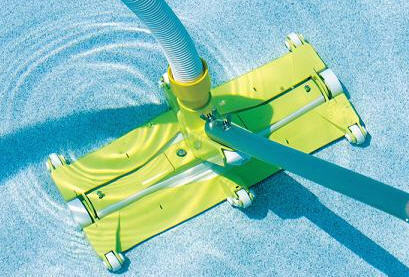 Each vacuum tube is secured using a spring plunger, making it very easy to assemble on site with no tools required. (Tools required for assembly of the frame are provided). The sophisticated technology and specialist construction of the Solar Radiation Pool & Spa Heater means it is not reliant on outside air temperature or direct sunlight, unlike more traditional competitor products. Its reliable  whatever the weather. 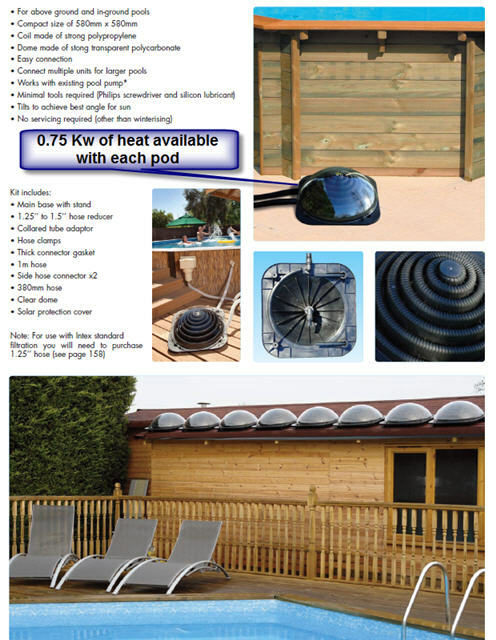 The Solar Heater comes supplied with a pool / spa filtration interface that allows simple retro-fitting to existing pipe work, as well as its own protective cover - to prevent excess solar energy should the water become too hot.